This site (Old Blundellian Database) is for keeping in touch with the Old Blundellian Community, for both former pupils and staff. The site will allow you to log on and search for old school friends and book into Blundell’s Community events. 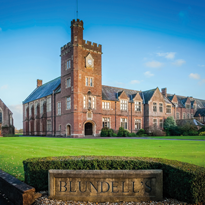 Keep you informed of developments, initiatives and news about Blundell's School and the Old Blundellian Club. Send you a free copy of The Diary (school magazine). Put you in touch with your school friends or other OBs worldwide. Host a range of events that may interest you. Support with career mentoring or advertising your business. Keeping us up to date with your life post-Blundell’s; where you are and what you are doing. Offering careers advice to current pupils and OBs via our Career Mentoring Programme. Joining our Business Directory and become a sponsor. Making a donation to help us provide an environment that will allow our pupils to achieve their full potential.